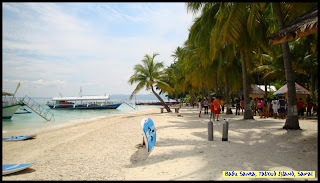 I have almost toured around the many stunning beaches of the Island Garden City of Samal. I thought I have seen enough. 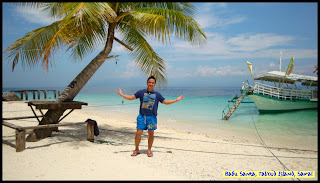 I thought I have sufficiently traveled around the Island that I could claim I have embraced all the charms and lures of Samal Island living. Not until the day I set my foot to the tempting beachwaters of Babu Santa. 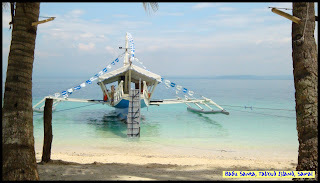 Babu Santa lies in the Island of Talicud, an island part of Samal. 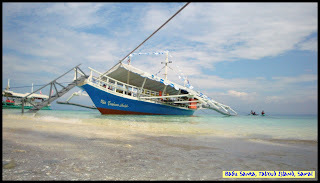 It is a 45-minutes boat ride away from Sta. Ana Wharf of Davao City. From Sta. 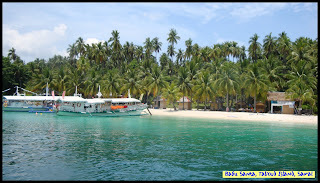 Ana Wharf, only the Z-HENRY boat travels daily directly to the place charging a minimal amount Php 50.00 boatfare. It leaves Davao 1:30 PM. 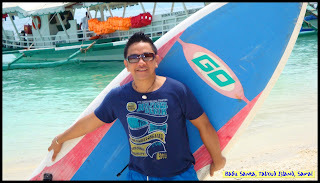 On board, serenity and calmness of the Davao Gulf becomes part of the voyage. But, surprisingly there's more to see, more to discover in this little charming place. 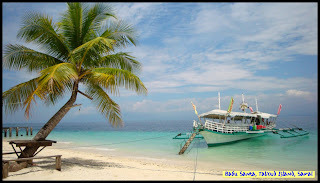 From the boat meters away from the Island, my eyes were filled with awe by just seeing its pristine white coastline. And just like virgin beaches, its air was just so enigmatic that I can hear the call of the sea, the sand and the clear turquoise waters. Setting foot to the beach, nothing but pure admiration consumed me. I have been to different beaches but the Island has enthralled me. The tranquility of the beach, the pleasant warmth of the summer sun, the dazzling charm of the sand and the enticing lure of the turquoise beachwaters - these are what BABU SANTA BEACH is for me. TRANQUILITY OF THE BEACH. The isolation of the Island from the Big City gives no room for human congestion, thus, preserving its innate stillness and tranquil atmosphere. The natural serenity gives comfort for burnt out souls and its solemnity provides solace for aching hearts. THE PLEASANT WARMTH OF THE SUMMER SUN. Summer as it is yet the heat of Sun is as friendly as the humid wind giving a true meaning of Topical Beach Life experience. THE DAZZLING CHARM OF THE SAND. 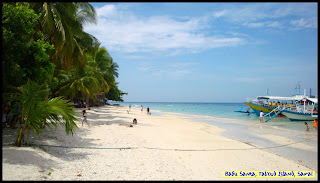 Roughly refined yet tender to a man's feet, its white sand added splendor and pleasure lazing around the beach. THE ENTICING LURE OF THE TURQUOISE BEACHWATERS. 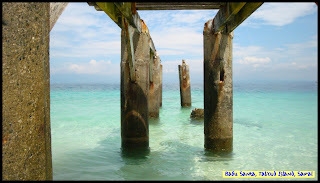 Crystal clear, cool, clean - these are what exactly the beachwater of Babu Santa is. No sea urchins and jelly fishes to fear from. 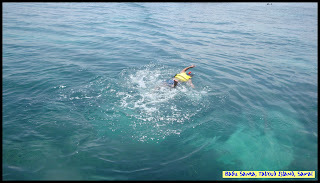 Nothing but a pleasant great swimming. One can stand from soaking under the heat of the sun from sunrise to sunset. 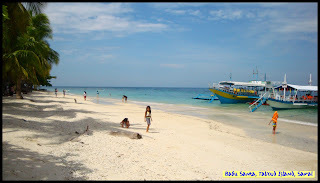 BABU SANTA BEACH offers more than the usual beach experience. Its like beach life in a virginal form. A laid-back beach experience. Electricity serves only 3 pm to 1 am. Huts and Cottages are in its simplest designs yet there's comfort and ease. Tap waters are sold at Php 15.00 per container. 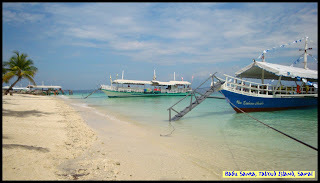 BABU SANTA BEACH is just minutes away from the CORAL GARDEN. 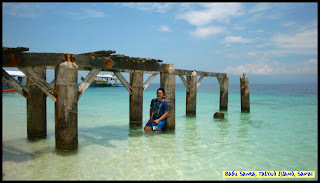 4 kilometer wide of different corals and coral formations. 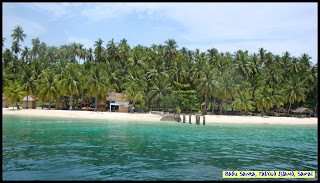 The site is protected by the Goverment, hence becoming Talicud Island's Wonder. Perfect for spelunking and snorkeling. 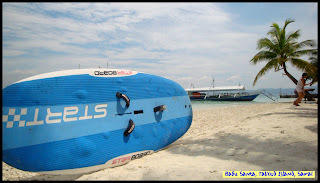 Best for scuba diving. 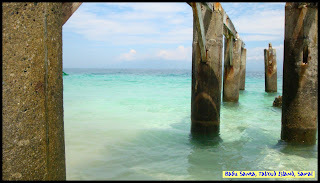 More to that, when at BABU SANTA BEACH, the best place to stay is the DAYANG BEACH RESORT. The Resort where the word "Dayang" literally mean Princess delights its guest with a true hospitality and laid-back comfort that can only be provided by them. BABU SANTA BEACH. A beach haven. An exploited beach paradise. 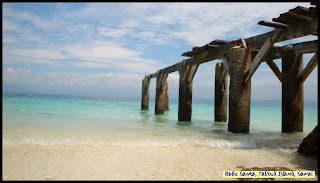 And for sure, I'll going back and savor once again "The Charms and Lures of the Beaches of Babu Santa". 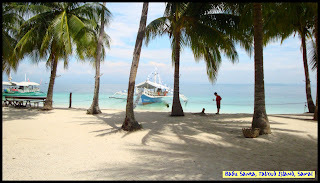 "DAYANG BEACH RESORT: The Beach Princess of Babu Santa"
"THE CORAL GARDEN: Samal Island's Wonder"
I have visited so many beach blogs but yours is 100% worth reading. I enjoyed seeing you enjoying every single second your beach bumming in this place. The sand, the sun and the beach! Truly, as you have said, from this photos you shared with us, nothing but all my desires to be at this place and experience what you experienced in this place. Keep up you good site! More beach stories! I'm loving it! wow! that's paradise to a beach bum like me. perfect! i want to go there. now im confused of my itinerary in davao. ganda nga ng beach. white. 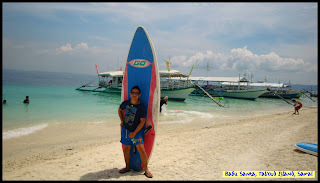 did u surf? naks! palutang-lutang ka pa sa dagat huh. nice! 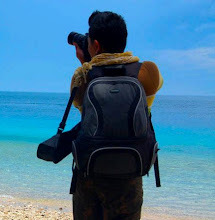 wow Olan!great adventure and wonderful shots! I've always wanted to visit Talicud island but never had a time. 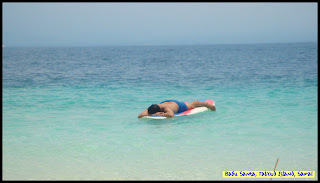 Now that you've shared this story, I'll be putting this in my wish list when I go back to Davao. Thanks. 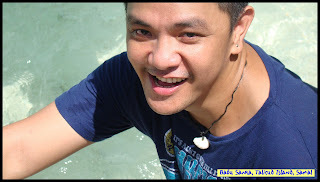 hi olan,thanks for visiting my blog and sorry for this very late visit. I got some problems with my old employer months ago and thanks God that the problem is solved now. Yes, I am here in Spain but I want to go home so soon. Wowww, the place is very nice and your photos are great. nisamot ko ka mingaw sa pinas oii upon seeing the wonderful views in your post. btw, hello from achi V's blog.